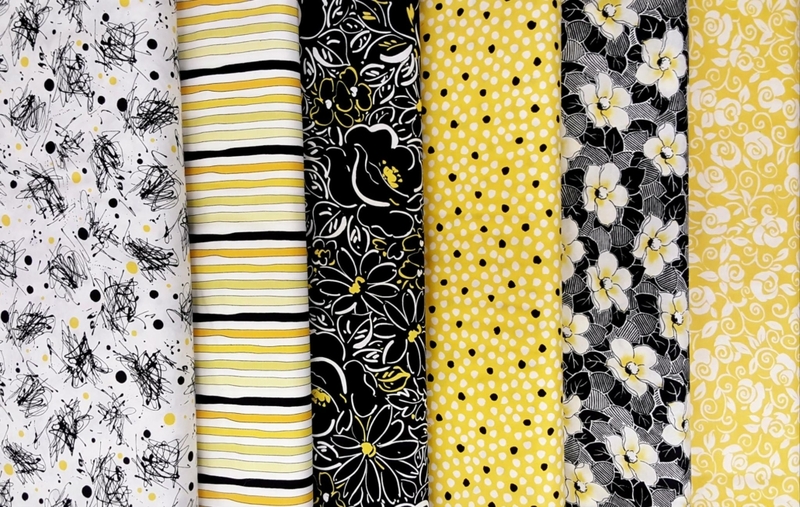 We established a store to share our love of quilting and sell some of the best quilting products available. 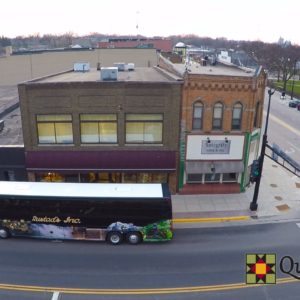 We are located in a great historic building in Hutchinson, Minnesota. 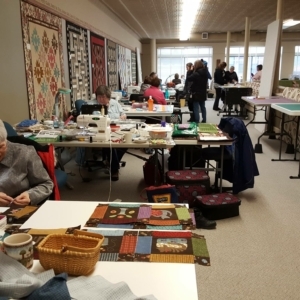 Whether you’re an experienced quilter or someone who wants to learn to quilt, we have what you need. 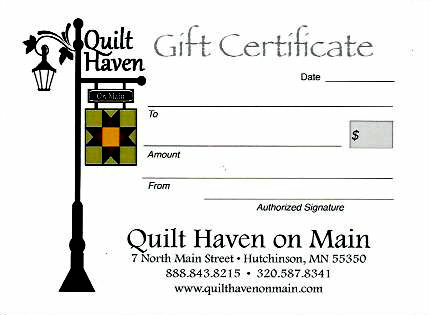 Quilt Haven on Main has been named a Better Homes and Gardens Quilt Sampler Featured Shop for 2017! 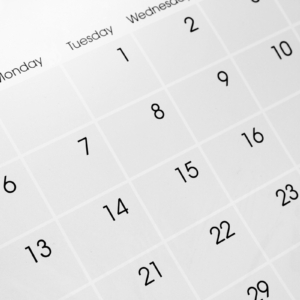 What’s in store at Quilt Haven on Main? 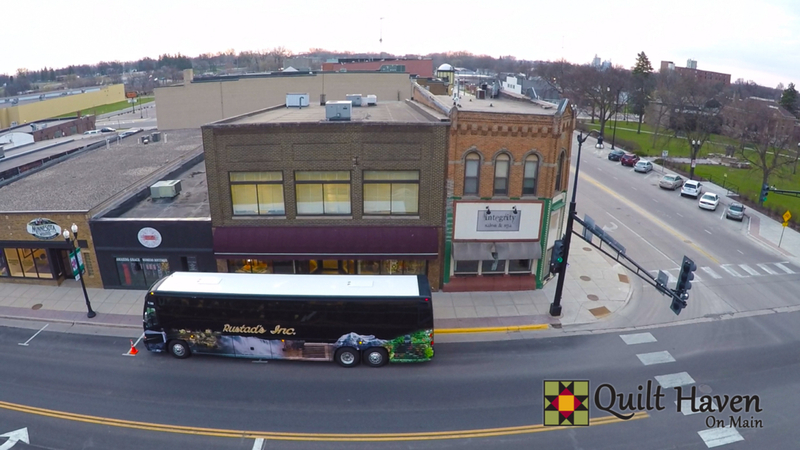 The hum of sewing machines and laughter in the loft echoes through our 100-year old historic building in downtown Hutchinson, Minnesota. 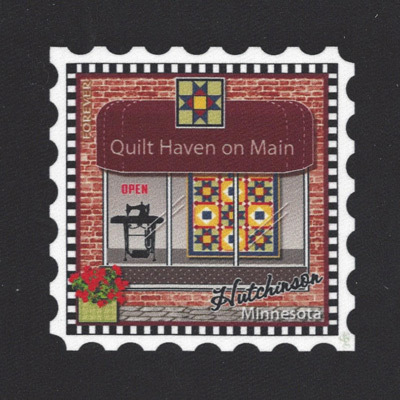 We opened Quilt Haven on Main opened on April 6th, 2013. Our shop is a feast for your eyes, including the latest fabrics in cottons, flannels, batiks, wool and notions. Many of our visitors comment on the grand central “Scarlett O’Hara” style staircase and original tin ceilings in the shop. 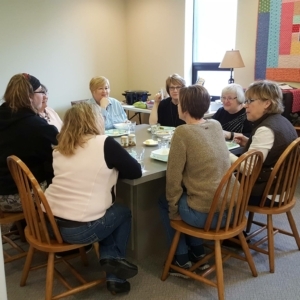 Our shoppers remark at how friendly, fun and knowledgeable our staff are about quilting . Our unique gifts and décor items will tempt quilters and non-quilters alike. We would love for you to visit our shop and all see all we have to offer! 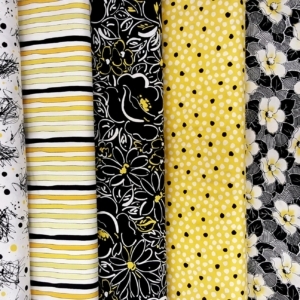 Quilt Fabrics, Quilt Patterns, Quilt Kits, Notions…..
Quilt Haven on Main is really a Quilter’s paradise. 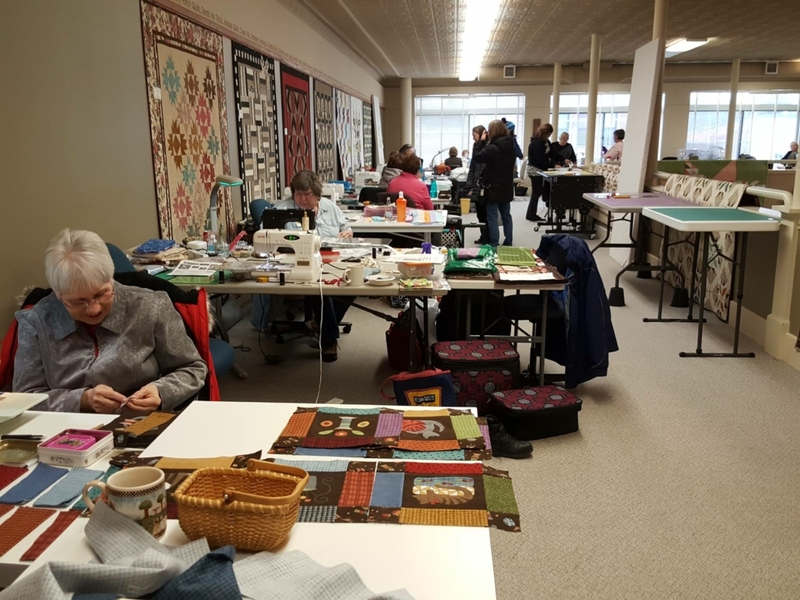 It seems there is always something happening at Quilt Haven on Main. 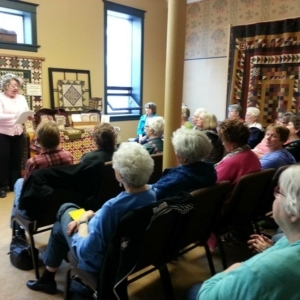 Throughout the year, we offer many different quilting classes, quilting clubs and events. New in 2017, you can shop online at Quilt Haven on Main for selected quilt kits and completed quilts. Click here to shop quilt kits. 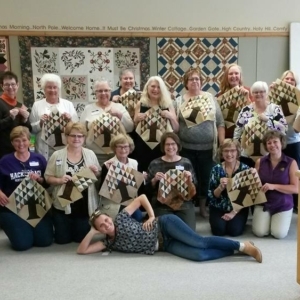 Click here to shop completed quilts. 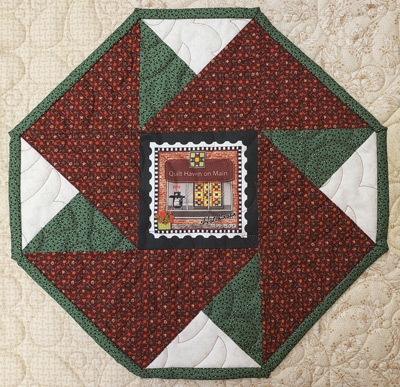 Shop for selected quilt kits and completed quilts. 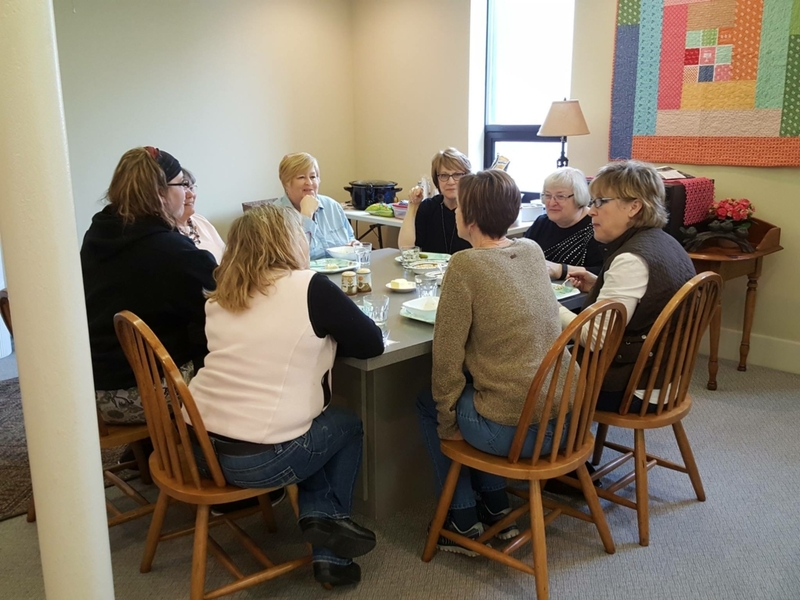 There is always something happening at Quilt Haven on Main.